When action is everything and thoughts little more than waste product, it's hard to justify time spent revelling in thinking for it's own sake! The poems in this collection do, however, revel, and attempt to celebrate reflection and the ability to question, even if it's often at a peculiarly guilt-ridden breakneck pace. The World, according to this poet, is moving too fast, and experiences gather meaning piecemeal, according to the time allowed or allotted. "Speed" is a jerky ride passing through familiar states; love, rage, boredom and joy, all expressed in a gauche yet testy manner, which is equally playful and exhausted. Whether out of breath or seemingly interrupted, these poems are racing to keep up with time, which is up at the front and evidently winning. They hang on to a healthy sense of the absurd, even when dealing with loss, or perhaps because of it. The tone of the poems is deceptively simple, at times almost idiotic or banal, playing with ideas of 'poetry' in a knowing way, with nods and winks to literary theory, whilst never actually becoming partisan. The concerns tackled are 'of the world'; rarely overtly political, more frequently engagingly individualised, but always relevant, surprising, and inclusive. It's been suggested that every era of major social change brings with it a new malaise; adapting to the speed of 21st century living has brought with it an epidemic of constant tiredness and stress. 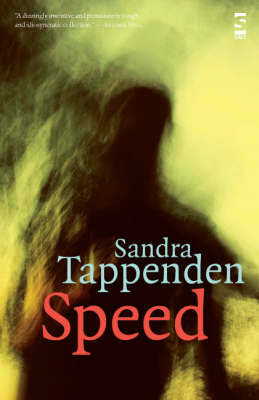 "Speed", if not exactly a manifesto, is a certain sign of the times.